Writers — especially writers of fiction — are often asked from where they get their ideas. People seem fascinated with how some people can look at the world and say “Why,” while writers seem to be able to look at that self-same world and say, “Why not?” Essentially, that is what lies at the core of what makes a fiction writer tick, their ability to craft out of whole or partially woven cloth a world of wonder and magic, because sometimes a cigar is just a cigar, but sometimes (though, admittedly, not often, and not for everyone) it is the jumping off point to a world of Mysterium Tremendum et Fascinans if you will. 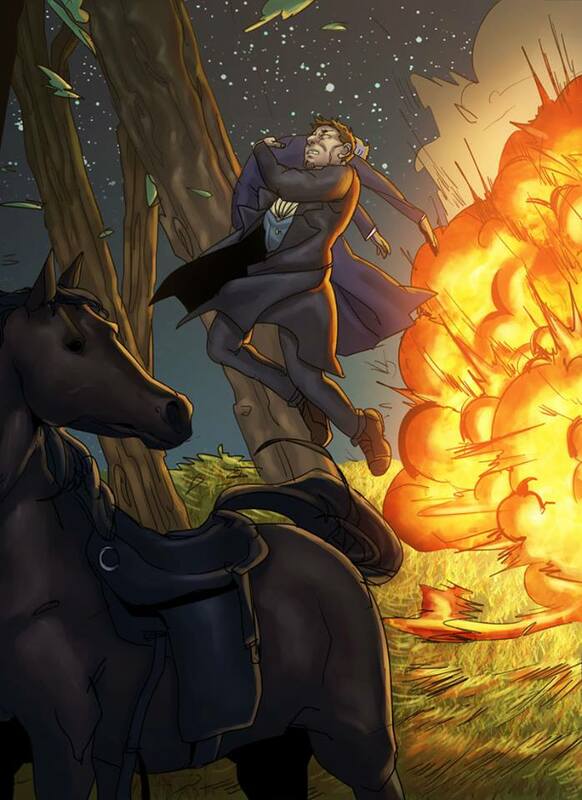 For Madeleine Holly-Rosing, the author of The Boston Metaphysical Society the creation of her wonderful steampunk-driven world was the marriage of her love of The X-Files and history itself. 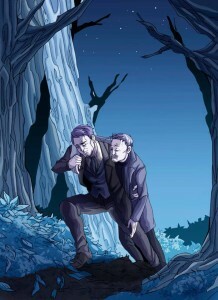 In fact, the tag line for the on-line and print comic is “Before Mulder and Scully, there was Hunter and O’Sullivan.” According to Holly-Rosing the historical part of the story evolved out of a feature script that she wrote for the Sloan Fellowship (which she won in 2007). Called Stargazer, that feature script was the true story of Mina Fleming, a Scottish-American woman who — in the late 1800s — arrived in Boston pregnant, penniless and abandoned by her husband. She was hired to work as the maid at the home of Edward Pickering, the director of the Harvard Observatory who soon discovered her amazing attention to detail and hired her to crunch numbers for him. Over the course of her life, while working for the director, she discovered over 10,000 stars and developed a new stellar classification system. 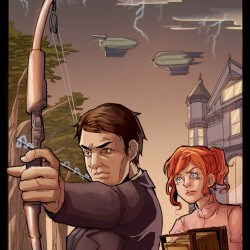 Boston Metaphysical Society is a steampunk adventure where inventors Alexander Graham Bell, Thomas Edison, and Nikola Tesla, along with the magician and escape artist Harry Houdini are part of a secret organization that is intent on tracking down a serial killer who — they believe — has slipped through into their plane of existence from another dimension, and is now stalking and killing people so as to inspire fear which in turn feeds him. Unable to capture the creature (whom they have dubbed “The Shifter”) they seek out the aid of an ex-Pinkerton Detective, named Samuel Hunter, whose wife was slain by the Shifter and is now driven by revenge to slay him. 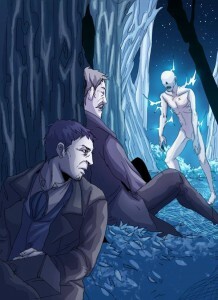 When Hunter is brought onto the case by Houdini, Hunter brings with him an odd collection of paranormal hunters, that includes a medium-in-training named Caitlin O’Sullivan (who is a “spirit photographer” as well as the daughter of his previous ghost photographer, who recently died, and Granville Woods, a Scientist extraordinaire. Together they hope to be able to stop the Shifter before his malevolent presence tears Boston apart. 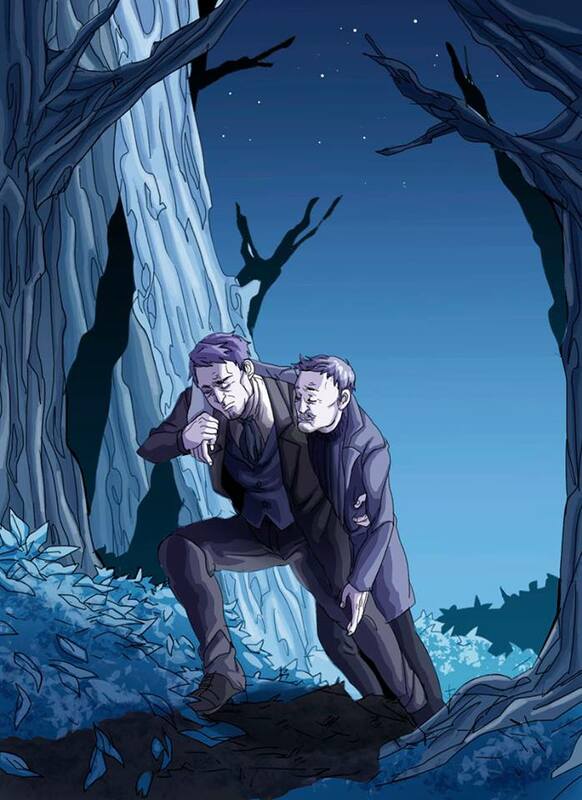 Assisting Holly-Rosing in bringing the world of Boston Metaphysical to life is artist Emily Hu, who is a graduate from the School of Visual Arts in New York City. Emily has been drawing ever since she was little and it’s been her lifelong dream to succeed as a comic book artist. Her main influences are Eduardo Risso, Becky Cloonan, and Junji Ito. Emily’s other hobbies include reading, sleeping, and eating. Boston Metaphysical Society is her first comicbook series. As for herself, Madeleine Holly-Rosing holds a Masters of Fine Arts in screenwriting from UCLA and is a TV and feature film writer. 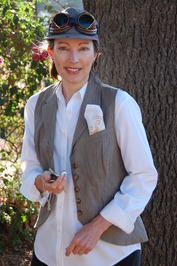 Holly-Rosing has recently completed her first novel, a middle-grade fantasy, and has published a number of short stories as well as novellas based on the Boston Metaphysical Society universe which are available on Kindle, Nook and Smashwords. 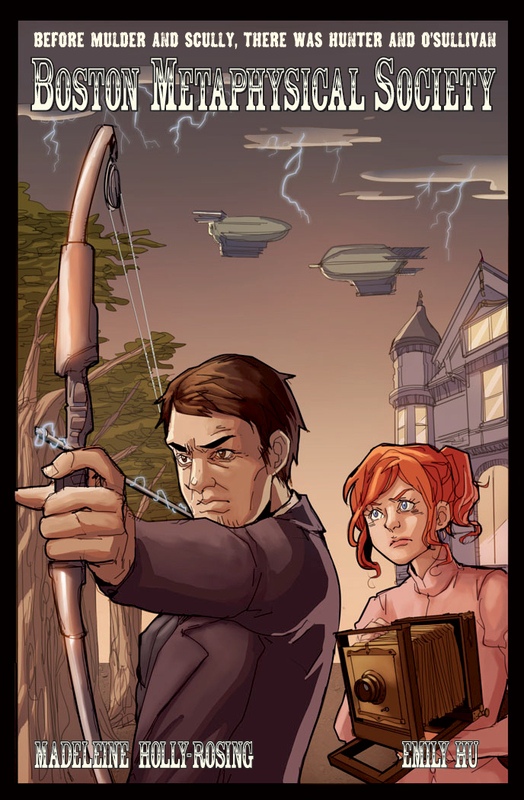 Her short story, The Clockwork Man was published in eSteampunk magazine (March 2013) and The Way Home was published in an A1/Atomeka/Titan Comics anthology in November 2013 which was accompanied by three illustrations by Emily Hu (those three pieces now accompany this article). 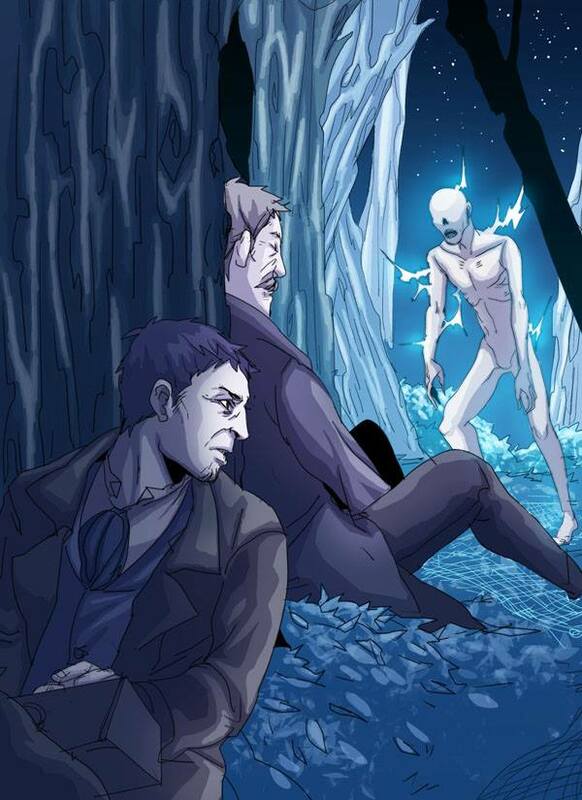 Characters, Story and Content of The Boston Metaphysical Society are © 2014 Madeleine Holly-Rosing. All rights reserved. This article is © 2014 Robert J. Sodaro, D.B.A. Freelance Ink. All rights reserved. Robert J. Sodaro is a noted comicbook historian and journalist who began reading comics during the early ‘60 while sitting on the newsstand in his Uncle’s “Mom & Pop” grocery store. He has been writing about them in the early ‘80s, and wrote for virtually every print comicbook publication published during the ‘80s & ‘90s. These days, much of his writing can be found on Examiner.com.